First Footprints tells the extraordinary story of the Aboriginal people of Australia. How they made their way out of Africa 60,000 years ago, and how they survived across this vast continent, from the harsh deserts of the inland to the glaciers of southern Tasmania. With photos from the ABC TV series of the same name. 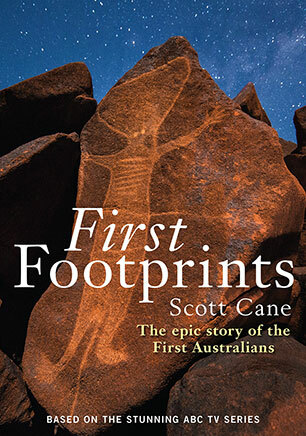 Scott Cane is a consultant archaeologist and anthropologist who has lived and worked throughout Australia. He has spent long periods of time with desert people, including some of the last hunter-gatherers on earth. He is the author of Pila Nguru: The Spinifex People and appears in the ABC TV documentary First Footprints.